Getting new members to sign up to your gym is always a great feeling. It is a new credit card into your system and you want to give that person the best possible services and experience, so that he can bring him friends to your company as well. While getting him and his friends to sign up is great, you must always remember that the long-term, consistent clients are the key to your success. So, now that you got them to sign up for a month, how do you make them come back after the first 30 days are over? The first key to increasing member retention is to make them feel like they are part of a community. In order to create a tight community, try holding regular events for your members. Also, encourage them to come early before a class, so that they get to interact with other members before training and create bonds. Don’t forget that new members might not know anyone from your gym, so spend some time with them and introduce them to the gym’s “veterans”. Lastly, encourage your staff to engage in the lives of all members both the newer folks and the old-timers. The second way to increase member retention is to keep communicating with your customers at all times. Keep track of members who have not been at the gym for a week or two (usually this is a sign of a disengaged member) and contact then, either via phone or email. Also, if one of your staff has a closer relationship with the member you can ask them to get in touch with that person. Lastly, you want to make sure that your members are constantly progressing. No one wants to commit a lot of time and money into an activity and not get results. You should try to closely monitor their progress and review it with them at least once a month. 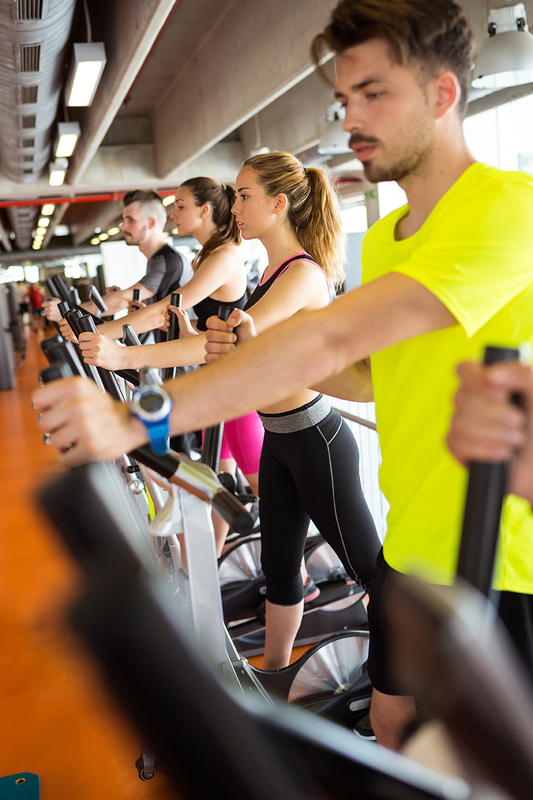 Keeping your members on the right track will ensure that they will continue to come to your gym. These are just 3 ways of increasing you member retention. If you have 10 or 1.000 members, keeping track of all of them is hard if you don’t have the right club management software. Visual ClubMate is one of the best management software available on the market that has multiple features which will help you improve your member retention. Choosing the right club management software for your gym is essential for a successful business. Often, selecting the right software can be overwhelming because of the high number of software solutions available on the market. You should start by asking yourself three questions: why, how and what. Why do I need a club management software? How will it create value for my business? What are the software features I can’t live without? Why do I need a club management software? In today’s market there are a million reasons why you would need such a software. Is it because you want to increase the member retention rate? To keeping track of member progress or to decreasing costs? Whatever your reasons, you need to have a clear picture in head before you start searching. How will it create value for my business? Now that you know what your needs are, you can start analyzing the available softwares and what features they offer. You should analyze all of these individually, keeping in mind your “whys”, and see how each and every one will help your business. However, you should not stop there. Look for how all these feature interact with each other and what extra value they have. For example, let’s say that a software has scheduling for group classes and automated emails. Both of them are great features but what if another software allows you to reserve group classes and have automated emails to confirm/remind your members of their upcoming class? Now that is great value. What are the software features I can’t live without? No club management software. If there was one, the other developers would have long been out of business. Each one has a different user interface, user experience and product features. The chances of finding a club management software that has all the features you are looking for is small, so you should always have an idea of what is essential for you and your business. The same three questions apply to club owners that are looking to switch from one developer to another but with a small variation. Instead of “why do I need a club management software?” you should ask yourself “Why am I not satisfied with my current club management software?”. If you are looking for a club management software, whatever the reason, please take a minute to see why Visual ClubMate might be the right software for you. Since 1995, we have helped clients all over the world, achieve operational excellence with a truly comprehensive “Fitness Software”. Building a sense of community in your gym can be a challenge, but it’s one of the best ways to increase member retention. Finding the right methods to keep people from all sorts of different backgrounds with individual goals engaged is sometimes hard. Here are some techniques that you can use, both online and offline. You should constantly be taking photos of your members and then posting them on your social media accounts. This is a great reminder for your other members that together, you’re working toward something even though you may be a different level. A Facebook Group is a great way to interact with your members. Through this, you can share tips, workouts, personal stories, and nutrition information. Blogging is a great way to share information with your members. 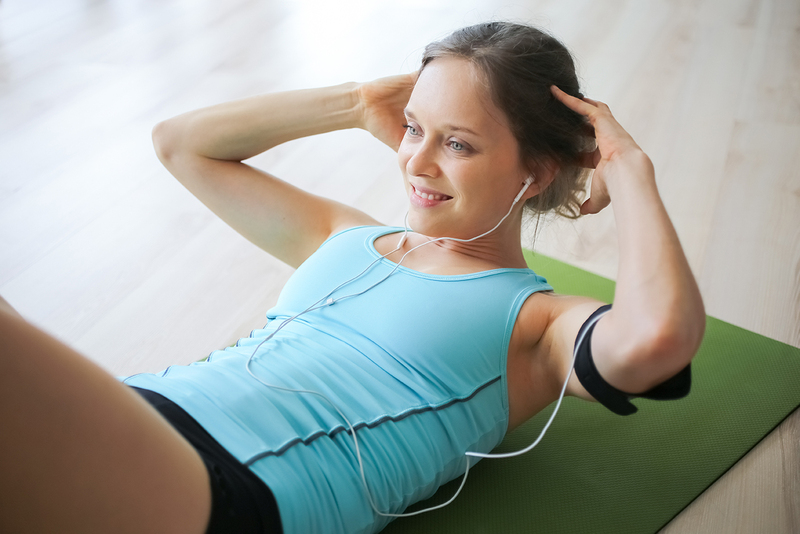 From gym related news to various tips, always try to create new blog content to keep your members engaged. From time to time you should organize various challenges and try to get all your members to take part. They are a great way to build competitive camaraderie and also get members that may never normally cross paths to mix. You should put together events that are not gym-based and get your members to meet socially. You have a life outside of your gym and so do your members. Shirts and other apparel are an excellent way to get your name and logo out there, worn by persons that are advocating for your brand. Also, if you’re a member and you see someone else wearing a shirt with the same gym’s logo on it, you can easily identify with that person. Just like when you see someone wearing a sports team shirt you like – you feel a common connection. Many software companies allow you to sell your apparel directly through the Client Portal. Every member need to feel like he has some sort of influence and that they are a truly part or something. What better way to give them this feeling then to encourage regular feedback? Also, try to incorporate as much as possible from what they tell you. Selling and Retaining the Millennial Generation. Somewhere between deep heartfelt communication, where attentive eyes and open ears abound and the monotonous dull gaze of a fixed and consumed mind typing away emphatically with two thumbs on a smart phone, lays the secret to consumer retention. As we drift further and further down the road of technological communication and interaction we begin to lose focus on the 55% of all communication that is absolutely nonverbal like facial expressions, gestures, posture, etc. The emoticon may convey some of the tone and inflection changes that are prevalent with verbal speech but not all, leaving most interactions these days lacking. With client retention being the ultimate dilemma in the health club industry, it is hard to forget that interpersonal relationships are what will drive your success and create lifelong members. The new needle we must begin to thread is the relationship between smart devices, our members and the staff. How do we promote our technology and push our synthetic advances while maintaining our organic connection to one another? By implementing technology that allows for custom user interaction and communication you can begin to merge the interpersonal relationships into a digital format. 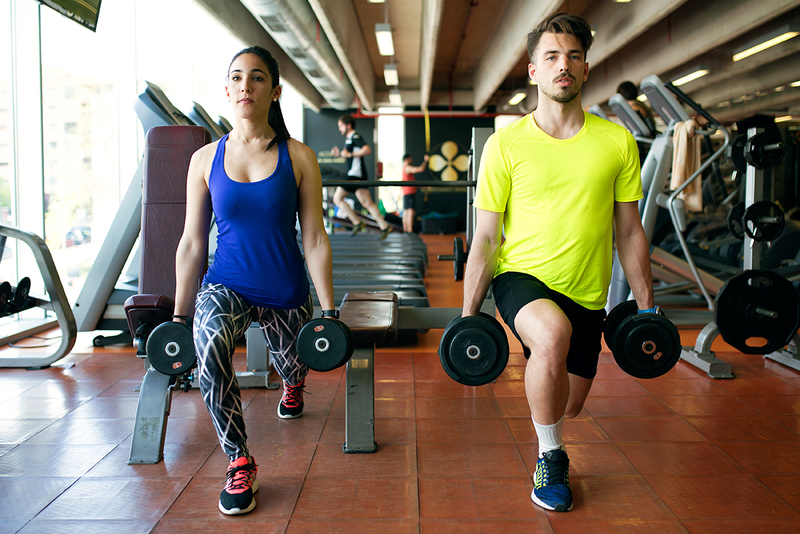 Making a member feel that he or she is so important that the club has specifically designed a workout plan or assessment schedule tailored to each of their needs can begin to create a sense of importance among your members. Creating an atmosphere that promotes competition through gamification or other means can also go a long way in capturing and captivating the millennial member base. Ultimately, regardless of how the world may change around us, people in general do not change, and the way to generate sales and keep a strong customer retention rate still remains the same. Having spent my entire career in sales I can affirm two things without a shadow of a doubt. One, a smile is the strongest weapon anyone has to disarm and move a prospect from the closed off fight or flight reptilian brain to the open and perceptive outer brain. Two, the person who says the least is often the one who wins, and make no mistake every sales situation is a dogfight. Sales consists of persuading the buyer to speak about their wants and needs and then leading them to the ultimate conclusion, that their problems can only be fixed by your product. Listening to the needs of your members then acting to accommodate those needs, still remains the best practice for sales as well as member satisfaction and retention. By implementing software and mobile applications that allow members to recreate some of these most basic human interactions will push your facility forward and generate huge returns in the process. Implementation of a client portal and mobile application in which the member can go and view their status, schedule, classes, attendance, progress, etc. will go a long way in replacing some of the much-needed interaction with your members that will push them to remain loyal year after year. With each passing day, another passing fad blows into the club industry just to be quickly swept away by the next rising breeze. Moving into 2018 the most notable of these trends, and the two that seem to have what it takes to become a staple in big box clubs and fitness facilities around the globe come with a glimmer of hope to produce some real revenue. Let’s start some of the obvious ones however before we move into the good stuff! No doubt we all have seen and heard a billion pitches about the newest latest and greatest in wearable fitness technologies till we can no longer differentiate one smart watch from the next. And here in lies the final word on this movement, in short, the body has a set number of functions in which any item can monitor externally, and once these are exhausted the development will need to move to RFID chip implant technologies. We can use the wearable’s through the same RFID tech to gain access to a site location as well as gather use data within our facility. The final evolution of wearable’s will probably fall somewhere in the membership card zone with a very inexpensive band that can gather all the data for both the user and club and transmit that data to a mobile phone or software for processing. With software companies innovating their mobile applications to allow for both bar code scanning and RFID proximity reader capabilities on everyone’s best friend (their cell phone) the industry will likely move away from costly membership cards and other forms of member check in hardware altogether. Not as much of a fad as a revisit to older muscle building and toning techniques. We see many trainers and classes pushing the heavy weight low rep technique that is essential in building muscle mass and producing faster results then low weight high rep muscle memory training. We also will begin to see trainers producing a higher level of technical data for their clients as people push for a digital expression of their physical experience. The counter to the above-mentioned trend this takes our bodies and uses its natural weight and surroundings to produce results. This low-cost minimalist approach to training resonates well with millennials and can be easily implemented into and Personal Training program. With the right talent at the helm to motivate and impress, this throwback to the dark ages of athletic bravado can produce solid revenue with little investment. Sidebar here, you need to build value in not only your trainer but also your facilities ability to offer something more substantial than four walls and a mat. These 30 minutes or less hard-hitting programs continue to infiltrate the industry due to their proven success. They will not be going away any time soon as we as a population continue to decrease our attention span and increase our expectations. One way to capitalize on these programs is through a solid Client Portal where members can register and pay for these services online allowing you to fill your classes and eliminate down time throughout the day. As a new social norm, these group training classes have begun to replace nights out at the bar for many young professionals and soccer moms alike. As our society faces further withdrawal into our digital personas we have begun to lose touch of the social personal interaction that was unavoidable not so long ago. Strong group classes add a sense of community and build long lasting membership retention, a must for all fitness facilities to thrive in today’s marketplace. No surprise here, weight loss will always find its way to the top ten lists, the catch is how do we monetize this in a way that keeps members coming back year after year. Creating a detailed and user specific Bio Profile for each individual member can allow you to track and produce tangible data while instilling a sense of personal devotion to each member. Insisting that all your training staff be certified and educated, though obvious, is sometimes a procedure that is overlooked. Yoga continues to grow in popularity year after year with little indication of slowing down. This has led to the growth of what I consider the two most important trends we see in the industry today. This is the first substantial trend in the fitness industry that we cannot ignore. People no longer consider nutrition and physical fitness as two separate entities but as a mingled and fully intertwined process of developing a healthy life style. Providing members with a comprehensive fitness and nutrition tracking software allows you to manage each member’s work out as well as dietary progress. The inclusion of these small boutique facilities that integrate small community settings and highly result driven workout classes will be a requirement for all fitness facilities as we move forward as an industry. The small town feel and dedicated training staff operating within an aesthetically soothing environment is profoundly effective at building the entire body, spirit, and mind. Creating these processes within your facility will multiply your membership retention exponentially. Welcome to our blog. This is our first post and we are excited to keep you updated on exciting industry content!